Hebrews makes clear that Jesus Christ exceeds all other people, pursuits, objects, or hopes to which human beings offer allegiance. 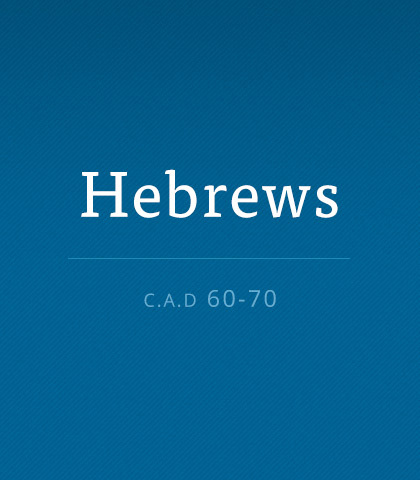 Read more about the book of Hebrews. You don’t have to look very hard to find negative people filled with self-pity. That’s why it’s so refreshing to find positive people...no matter the circumstances. God uses angels as messengers to interact with us—often for our protection. And you never know when you might encounter one. Infidelity destroys everything in its path—marriages, families, and the future. One of the greatest gifts you can give to your spouse and your family is your fidelity. As an adult you impact others’ lives. Don’t forget that. Your life is on display whether you like it or not, and most of us don’t like it. Erosion is slow, silent, and subtle. That’s why compromise can so quickly lead to erosion—it isn’t always bad, but when we compromise on God’s Word erosion beings to take place. And that leads to destruction. What Would You Do for $10 Million? No really, what would you do for 10 million dollars? Although it’s easier for us to trust in money than in God much of the time it can bring no lasting satisfaction, only a desire for more.